Kees Christiaanse is one of the most renowned urban planners. 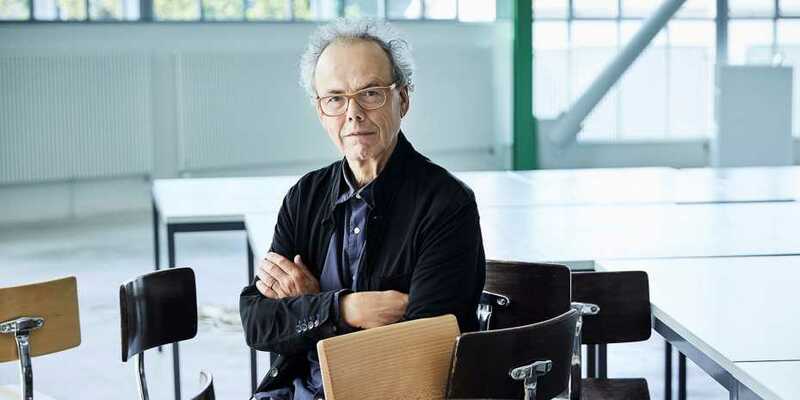 After 15 years as a professor at ETH Zurich, he is retiring from teaching duties this summer, and will be made an emeritus professor. But not much will change as a result, he says. Even after stepping down from ETH, he intends to continue pursuing his global vision of an open city. It’s not merely a coincidence that Kees Christiaanse’s office is located in a unadorned concrete building in the Unteren Letten district in downtown Zurich. He likes the neighbourhood because of its many public and semi-private corners that the locals like to appropriate for their own use: colourful al fresco snack bars, improvised sun terraces, alternative pop-up bars for watching World Cup matches and courtyards hosting all sorts of outdoor activities. This type of neighbourhood has many of the attributes that Christiaanse believes typify an “Open City”: closely interwoven passageways and accessible public and semi-public spaces allowing maximum social interaction.A city whose structure promotes inclusivity, with multifunctional buildings combining offices, shops and housing. A city whose inhabitants of all ages, backgrounds and social status live together in harmony. The “Open City” has been the brainchild of the world-famous urban planner and ETH professor since the mid-1990s. In 2009 he even used it as a key motif in the fourth International Architecture Biennale in Rotterdam, which Christiaanse and his team at ETH curated. This event gave fresh impetus to the discussion about how architecture can contribute towards sustainability, social inclusion and innovation in cities. We meet on one of the first hot summer days in Zurich. Christiaanse is wearing a short-sleeve white shirt sprinkled with brightly coloured dots. Despite projects across the globe that require him to commute between Zurich, Rotterdam and Singapore, he seems very relaxed. He welcomes me in the basement of his offices, but suggests we continue our interview outside in the Lettenbad, one of Zurich’s many open-air swimming areas on the river Limmat, which he says he often visits at lunchtime. Water is a constant feature in Christiaanse’s life. He grew up in the Netherlands, where water is never far away. Later in his career, his fascination with water was reflected in his choice of projects, including urban planning for harbour developments in Rotterdam and Hamburg. When Christiaanse was appointed Professor of Urban Planning at ETH in 2003, his first task was to establish the discipline at the university. “At that time, the focus was still very much on pure architecture,” he recalls. Working with fellow professors Marc Angélil and Christophe Girot, he championed urban planning in the university’s research and teaching. This shift was accelerated by ETH Studio Basel, which had been founded shortly before. As a result, the department underwent a radical transformation, with an intense focus on cities and urban design. In 2010 this transition culminated in the establishment of the Future Cities Laboratory (FCL) in Singapore, where Christiaanse spent five years as Programme Leader. A holistic view of architecture and urban planning permeates Christiaanse’s work from the very start. When he was studying architecture at the TU Delft in the 1970s, the Club of Rome had already published its first report on the Limits to Growth. The effects of the 1968 social revolution were still apparent, and themes such as environmental protection, social inclusion and participation were finding their expression in architecture as well. Through his involvement in the squatter scene, he was politically active as a young architect in the campaign against escalating rents and the displacement of people from city centres. He took inspiration from “The Death and Life of Great American Cities” by the American journalist and activist Jane Jacobs. She highlighted very early on the importance of diversity for living cities and warned about the emergent trends of gentrification and segregation. “Although it was published in the early 60s, it is still one of the best books ever written on urban development,” Christiaanse claims. His work was also heavily influenced by Rem Koolhaas, the Dutch master of urban design. When Koolhaas was recruited to teach at the TU Delft, it was dominated by a type of left-wing dictatorship, Christiaanse recalls. “Back then we spent more time politicising than drawing plans.” All that changed when Koolhaas arrived, recently returned from New York. He put the emphasis back on draughtsmanship and championed atmospheric designs, as well as precise model construction. When Koolhaas established his architectural practice OMA in Rotterdam, he offered the student Christiaanse a three-month internship. This led to him working with Koolhaas for eight and a half years. He remembers: “We were on a Children’s Crusade. Despite the lack of any real experience, we competed for urban planning projects across the entire globe.” After five years, OMA had established itself internationally and 50 people worked in the office. Christiaanse was so preoccupied, he almost forgot to complete his studies. By 1989 the time had come to move out of the shadow of his mentor, nine years his senior. Christiaanse set up his own practice “KCAP Architects & Planners”, which today employs over 100 architects, urban planners and specialists in offices in Zurich, Rotterdam and Shanghai. A string of megaprojects followed, such as the master plan for HafenCity in Hamburg in 2003, a project intended to expand the city centre by 40 percent. Works are scheduled for completion by 2030. Anyone involved in urban planning needs to have a very long-term horizon: the process from the initial master plan through to approval by the authorities, the selection of architects for the project and the start of construction work can often take several decades. Christiaanse and his team have also been involved in shaping Zurich’s urban landscape: he was responsible for the master plan “Science City ETH” for the Hönggerberg campus. He was also commissioned by Swiss Railways (SBB) and the City of Zurich to draw up a master plan for the new Europaallee development next to Zurich’s main railway station. Due for completion in 2020, this covers an area of 78,000m 2 in a prime city centre site that will host 8,000 offices, 400 rental and owner-occupied apartments and 76 shops retail units. Zurich residents have called for a referendum on the project, partly due to concerns about gentrification and escalating rents. Christiaanse is sympathetic to their concerns – he probably would have had a similar response when he was a student. At the same time, he stresses the limited influence of planners: “With such projects, we always suggest allocating 25-30% of the floor space to affordable housing,” he says. “But ultimately the decision is obviously up to the client.” Even so, venues such as the Kosmos cultural centre prove to him that the Europaallee project still has elements of an Open City. How to effectively moderate complex processes involving dozens of planners, investors, politicians and specialists is not something that can be learned at university, but takes years of practice. So he is not thinking about retirement, but instead wants to satisfy his urge for complexity. KCAP has just received an enquiry from China. The city centre of Shenzhen – a metropolis of 13 million people spanning an area of 80 km 2 – has to be analysed from an urban design perspective and a master plan drawn up for the next ten years. This would be the biggest urban planning project that Christiaanse has ever been involved in. “As you can see, not much will change once I retire from ETH,” he says with an impish grin. The latest publication “Textbook. Collected Writings on the Built Environment 1990–2018” (Rotterdam: nai010 publishers 2018) provides a good insight into Kees Christiaanse’s thinking on urban planning.